Respected Supreme Leader Marshal KIM JONG UN, Chairman of the Workers Party of Korea for his Excellent Report on the first agenda and grand success of the 7th C.C. of the Workers Party of Korea which took place in Pyongyang on 7th Oct. 2017. 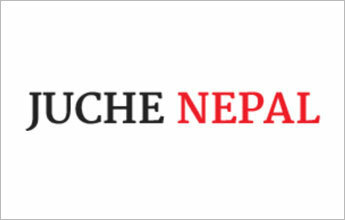 Likewise, President of Nepal Journalists Association Dr. Sakya distributed the Report of the First Agenda of Chairman KIM JONG UN to all the Juche followers, Juche supporters and media people of Kathmandu for the further detail study. The meeting also expressed a good health, long life and prosperity of Supreme Leader Marshal KIM JONG UN. The special meeting was held at Nepal Journalists Association office at Maitighar, Kathmandu under the chairmanship of President of Nepal Journalists Association Dr. Sakya on 15th Oct. 2017.